We are pleased to offer you a pleasant accommodation in a family-run hostel located in the very heart of the historical town of Loket. 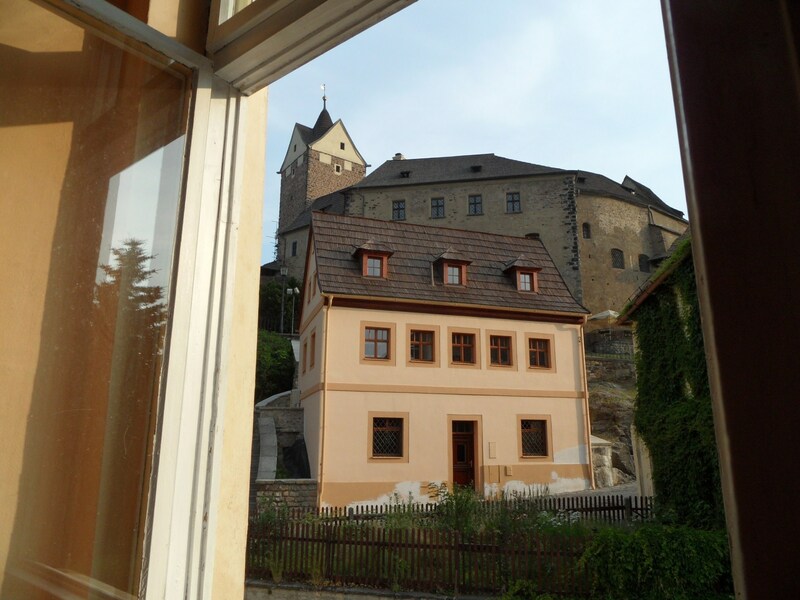 From the windows of most of the rooms - shared dormitories or private rooms for two or three persons - you can enjoy a beautiful view with the castle. We rent bicycles and boats. 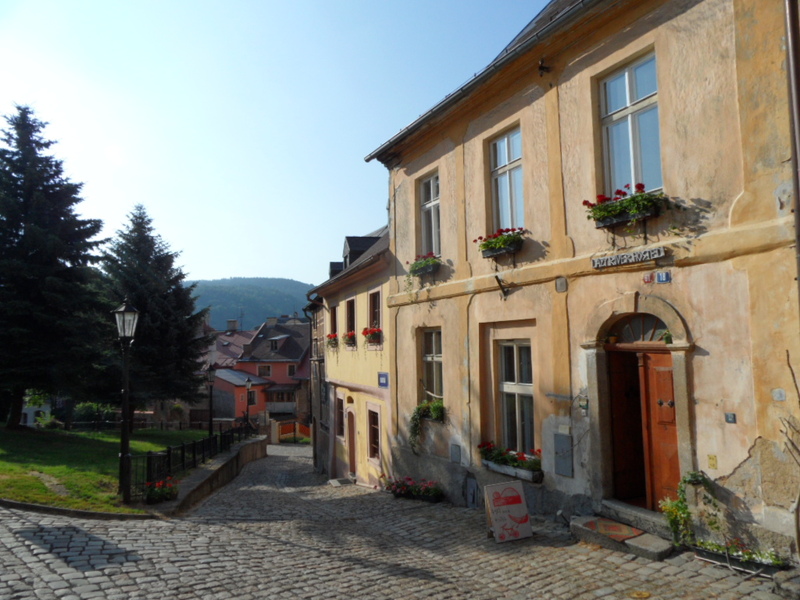 If you set out to explore the lovely town of Loket, you are welcome to stop for a rest in our small, cozy hostel with a homely atmoshpere. We would be pleased to offer you our presence, a cup of good tea, or we could share our travel experience together. If you like our place, we have several beds with a shared kitchen and bathroom here. The house in which we live as well is very old and carefully reconstructed. Sitting at our glass-walled terrace flooded with sunshine is extremely pleasing. We also rent books from our bookcase. LAZY RIVER HOSTEL lies directly beneath the castle, which you can see from all our rooms (except for one room that offers view to houses on the square). The only sound that disturbs the peace of a small town is the sound of the nearby weir humming on Ohře river. If you wish to explore the neighbourhood, we have bicycles to rent and you can take the cycle path right along the river. If you go down stream further on, you would get to CARLSBAD, a famous spa city. On your journey you would meet a beautiful rock formation called "SVATOŠSKÉ SKÁLY" in Czech - a delicacy for climbers. If you prefer to get to CARLSBAD on water, we have boats to rent for you. Last but not least, the town itself invites to nice short walks, or you can take the tour around surrounding viewpoints that overlook the whole town of Loket. For advanced hikers there is a possibility to take a trip to SLAVKOV FOREST. You can also enjoy winter sports in nearby mountains called KRUŠNÉ HORY, just about 30 minutes by car. On the contrary, in the summertime we can recommend swimming in one of local nature ponds.